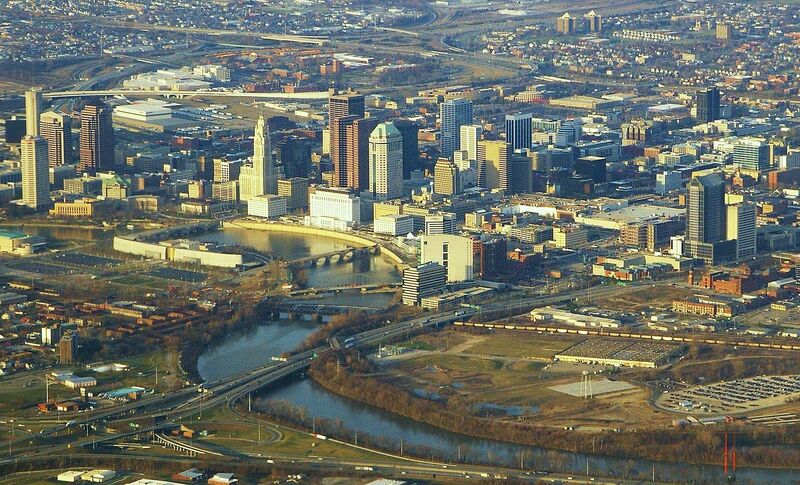 Downtown Columbus. Photo by Ron Reiring, CC 2.0. A little over a year ago, I attended the inaugural meeting of the Society for Arts Entrepreneurship Education, about which I expressed some very mixed feelings. I am pleased to report that the second annual conference of the group was significantly improved, especially in the breath of attendee interests and their disciplines. Graciously hosted by Sonia BasSheva Manjon of The Ohio State University, the very short conference was introduced by an inspiring talk by artist Willis ‘Bing’ Davis, founder of the EbonNia Gallery. What was missing from the first conference was this connection between the academic “society” interested in arts entrepreneurship and the lived experience of artist entrepreneurs and their practice. As a trans-discipline, arts entrepreneurship – and by extension, arts entrepreneurship educators – need to make these connections between scholarship and practice more apparent, positioning our research agendas to extend beyond the classroom and in the field. In that regard, a highlight of the conference for me was the final plenary session in which graduate and undergraduate students posed questions to the other, mostly faculty, attendees and then responded to their answers. The first question nailed it (and I paraphrase): what can we do to do more empirical research about arts entrepreneurship practice? After an awkward silence, I responded, “We can do more empirical research about arts entrepreneurship practice.” I elaborated that the people in the room, most of who were artist/professors teaching or learning in arts programs may not have the methodology to conduct the kind of empirical research that is needed for field-building (the plurality of attendees were, again, from music). I suggested artists and arts entrepreneurship educators who are interested in such research partner with faculty in business, marketing, policy studies, economics, etc to formulate research questions and seek answers to them. Unfortunately, although a highlight, the discussion was not an open one. The session was very tightly controlled and overly scripted. Questions from the student panel had been submitted in advance and the attendees were told that one person would be selected to provide an answer, and then the questioner would respond briefly. Give-and-take was neither encouraged nor accommodated. This was also true of the society’s “business meeting,” at which questions were not allowed (after keeping my hand up for five minutes to ask a procedural question about the bylaws revision process, the facilitator closed his presentation with “well, we’re out of time,” so I had to just stand up and ask). For the society to mature and support the development of arts entrepreneurship as an academic field, it must not only allow but encourage open discussion and dialogue in a public format. My suggestion for next year’s host, Millikin University, is to program a longer workshop-style session at which participants work in small cross-disciplinary heterogeneous groups on defining the issues of the field and report back to the full group in a plenary session. I also encourage plenary discussion at the society business meeting – or at least the opportunity for posing questions from the floor. This entry was posted in Arts education, Arts entrepreneurship, Higher education and tagged arts entrepreneurship, Millikin University, saee, society for arts entrepreneurship education, The Ohio State University, trans-discipline. Bookmark the permalink.